Fitness Equipment Protection Plan - 3 Months FREE! We see you’re curious about purchasing our standard exercise equipment extended warranty. You like working out and feeling sore after a day of pushing yourself to the limit. Or maybe you’re just trying to get healthy, put a few hours on the treadmill a week to keep your blood pressure down. But in the back of your mind, you’re thinking to yourself “What if my exercise equipment breaks?” and that’s making your blood pressure go right back up again. No need to stress, our CPS exercise equipment extended warranty has got you covered. Our exercise equipment warranty is a direct extension of your exercise equipment’s warranty, covering the same kind of issues that the manufacturer covers, including standard hardware malfunctions. This warranty starts right after the manufacturer’s warranty expires, so if you have a two-year manufacturer’s warranty and you add our three-year extended warranty, you will receive five years of coverage. We include in-home service, so you don’t have to lug any heavy machinery out of your house. If your equipment breaks down, we will send an authorized technician to come to you, at a time convenient for you, and fix it. And if we can’t repair your product, don’t sweat it! If we can’t fix it, we will replace it, or if you’d prefer we’ll offer you the option of receiving a check for the cost of a replacement. There are some exclusions to coverage, including physical, liquid, impact, and cosmetic damage. We don’t cover equipment with pre-existing conditions, and we do not cover issues that are resolvable with regular maintenance of the equipment. But maybe you’re not here for our standard plan. Maybe you’re opening a brand new gym and are looking to outfit it with as many treadmills as you can get your hands on. Or perhaps you have an established gym, and are just looking to replace an elliptical? Whatever the reason, it’s a good idea to get your equipment covered, and our commercial plan is exactly what you’re looking for. For our commercial plan, there are a few notable changes from the standard warranty. Your coverage begins 31 days after you buy your product so that we can get you covered as soon as your place of purchase’s return policy ends. Additionally, this plan includes not only hardware malfunctions but also regular maintenance. The final significant change is that a $200.00 deductible will apply when you file a claim. We add the deductible for commercial exercise equipment, because commercial exercise equipment sees more use, and often requires more intensive repairs than equipment utilized in a home environment. Check with your exercise equipment dealer to see if they sell our plan. If they do, they’ll be able to get you set up with our exercise equipment extended warranty. Once it’s purchased, you can rest easy knowing your exercise equipment is covered. Will my equipment be repaired in home? Yes. We’ll send out an authorized service center to complete repairs and get your equipment back to working order. Will my coverage continue after my exercise equipment is repaired? Yes. Your coverage will typically continue until your contract expires. Your coverage will end, however, if your exercise equipment is replaced or the total cost of the repairs meets the maximum liability (the original price you paid for your equipment). What happens if the service center cannot repair my equipment? If we cannot repair your exercise equipment, we will provide you with a check for the current market value of your equipment. What don’t these plans cover? Neither of these plans include physical, cosmetic, liquid, nor impact damage. These plans do not cover equipment that was sold with preexisting conditions, or lost or stolen equipment. 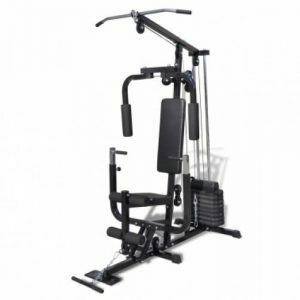 What does the CPS standard exercise equipment extended warranty cover? Our standard plan covers 100% of the parts and labor necessary for repairs. The warranty also covers all internal hardware failure and manufacturer defects. What does the commercial plan cover? The commercial plan covers the same things our standard plan covers, while also including regular maintenance for the machines. The commercial plan also has a $200 deductible for repairs. I have a manufacturer’s warranty on my exercise equipment, when does my coverage start? Your warranty contract and coverage begins after your manufacturer’s warranty ends. How do I file a claim for my equipment? You can file a claim by signing into your account on cpscentral.com and clicking file claim, or alternatively by giving us a call at 1 (800) 905-0443. Can I transfer the warranty to a new user? Can I purchase a standard plan for commercial use? Unfortunately you cannot. If you are purchasing an extended warranty for commercial use, you will need to purchase our commercial warranty.